Have you been inspired by any books about drawing? Artists approach drawing from many different angles ... some like to draw what they see and some like to study underlying muscle and skeletal structures. 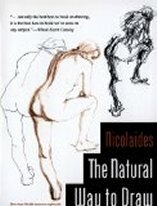 I'm in the category of "draw what you see" and with that in mind, I will start with one of my favorite drawing books, The Natural Way to Draw by Kimon Nicolaides. "Sense of touch" is the basis of whatever it is you are drawing, ie., imagine that your pencil is actually touching the object you are drawing. This is what gets you inside the object you are drawing… this is what makes your drawings real and alive. To me, this book is the "gospel" of learning how to draw. 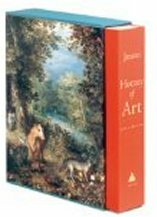 Don’t expect a book of “pretty pictures”, but rather a book, which explains how those pretty pictures were accomplished by the artist. Full of instructional, everyday exercises, which I use to this day. If you get no further than the contour and gesture drawing section of the book, you will have benefited greatly. Throughout, the book is peppered with work from the Old Masters, which are appropriately placed to emphasize a point Nicolaides is making. What a great way to learn to draw. You see the power of drawings from complete compositions, to minute studies of the human anatomy. Again, I repeat, this is a workbook . . . but a very exciting workbook. P.S. I didn’t think you’d ever find a book as clearly instructive on how to draw the folds in clothing, which of course is absolutely necessary in bringing your drawings to life. 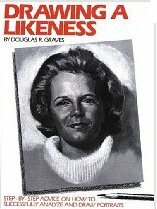 This book takes the mystery out of drawing someone’s face. He breaks the face down into geometric shapes that we can all understand. Then he takes you through the complete process of drawing a face, by building on these simple geometric shapes. This book is dedicated entirely to drawing people, as the title indicates. The layout of facial compositions are studied in detail, which add up to show you the overall architecture of the face. Individual facial features are then examined. 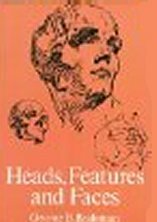 This short book results in a clear way for you to see the intricacies of the human face. An absolute necessity to anyone who is interested in art. This book encompasses the entire history of art from the earliest cave drawings by prehistoric man to 20th Century work of the early 1900’s. Overall, the book gives you personal glimpses of the great art, which has been produced since ancient times. The knowledge is invaluable … it guides you and lets you choose a personal path you want to follow as an artist. What Drawing Books Have Inspired You? Do you have a story to tell about a book or art magazine that inspired you to draw? What do you like about the book? Share your book review or story.